When we travel to Southeast Asia from Europe we do so on the assumption that we will find affordable prices, but when we land in Singapore, we find that we are in one of the most expensive cities on the planet. For start, the lodging is expensive, which limits the family budget. In addition to this, there are several attractions that can mean a huge gap in our budget. 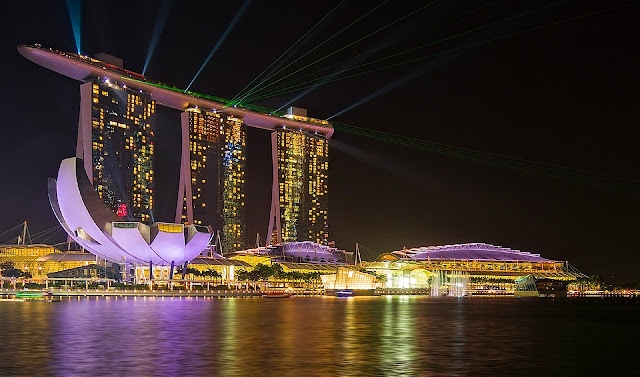 But, on the other hand, Singapore also has a wide range of activities that a family can do without spending money and that is what we wanted to write about in this post. So let's talk about what, in our experience in Singapore you can do more interesting with your kids for free. 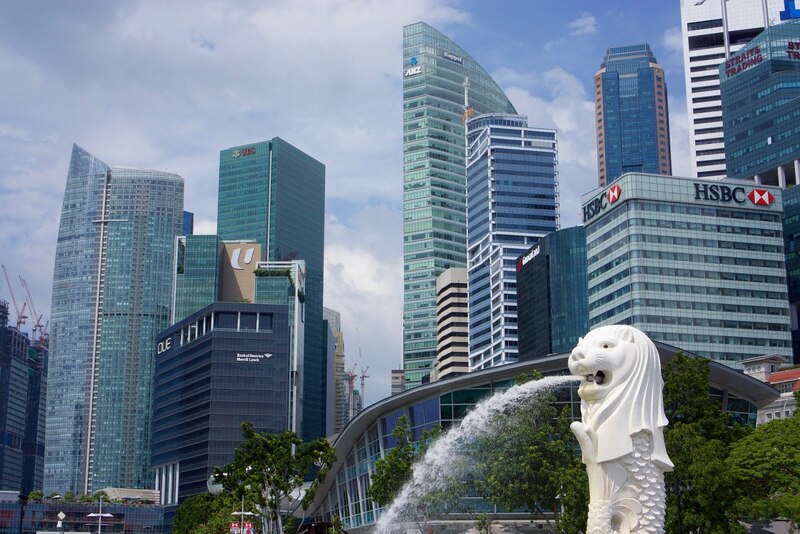 One of Singapore's trademark images is Merlion, the lion with a body of a fish, which pours water into the beautiful Marina Bay, that is an Singapore's symbol. Situated on the opposite muddy Sands Bay Marina is a must do on an trip to Singapore and a perfect place to take "that" picture of Singapore. Often there are free concerts and shows that, if you have the opportunity and watch, will further enhance your visit. 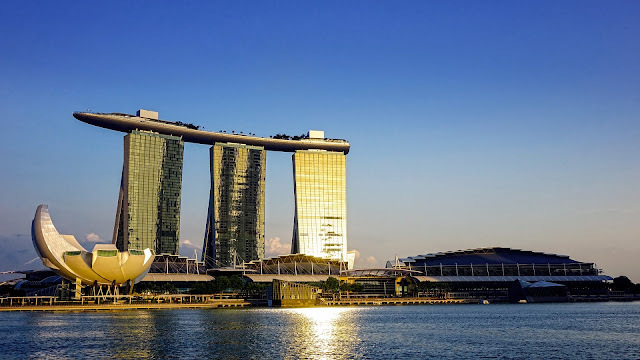 Strolling along the wonderful Marina Sands Bay is also a free ride and be sure to do so and marvel at the futuristic architecture of this location. At the end of the day it becomes even more impressive the view, when the lights of the buildings begin to gain color. Also with a huge visual impact is the ArtScience Museum, be sure to admire its structure designed to resemble a lotus flower. 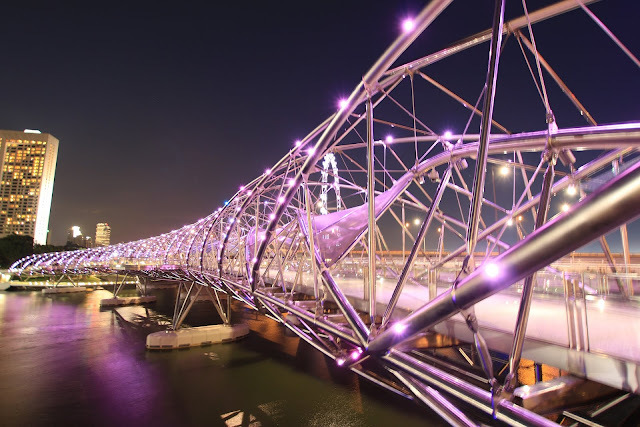 Also free access is the Helix Bridge, it is something that you can not miss on your visit. Inaugurated in 2010, it is a masterpiece of engineering, based on the DNA chain, which also gains even more life when its lights come on. 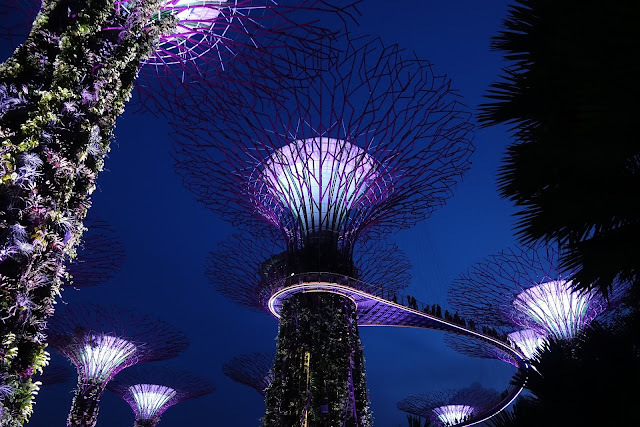 Gardens by the Bay is the place where futuristic trees stand, which are also one of Singapore's trademark images. This is an impossible spectacle to fail to anyone visiting Singapore. The walk through the garden is free but entrance to the pavilions is payable. You can access more information about prices and scuedules here. 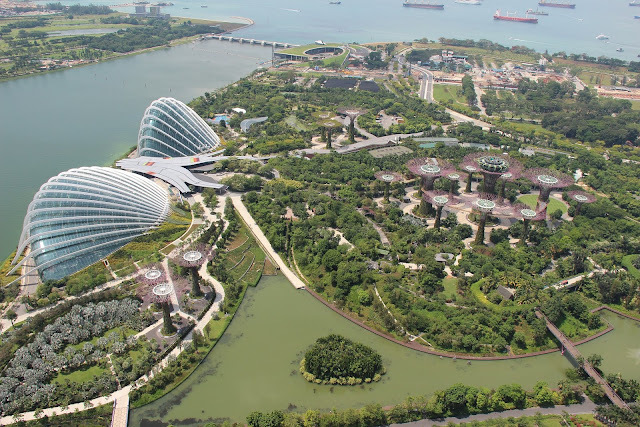 A must-see is the wonderful light show that takes place at 7.45 pm and repeats at 8.45 pm at Gardens by the Bay. This spectacle, which you can watch for free, turns the already fantastic trees into an explosion of colors, lights and music that will fascinate you. Unmissable. This was one of the reasons why we decided to end the day in this area of ​​Singapore. There may be slight changes in schedules, so please verify the exact time here. Another free spectacle that takes place at Marina Bay Sands is SPECTRA, the water, lasers, fire and light show taking place at Marina Bay, directly across from the Marina Bay Sands Hotel. It's also free but you should get there early to get a good spot. You can accessmore information about the show here. 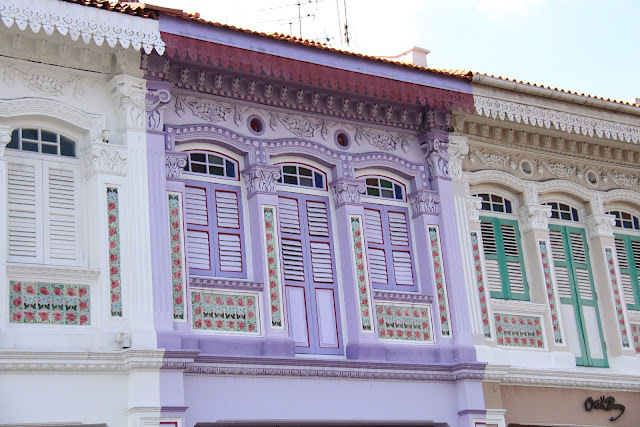 One of Singapore's main characteristics, perhaps less well-known, is the fact that in a city-state different ethnic groups live, all linked to the history of Singapore. Since the days when they were a British colony, the different ethnic groups were located in different districts which, even today, reveal distinct marks of their culture. And this is a tour you can undertake, through the different neighborhoods of Singapore. Chinatown was our best experience and, in our opinion, the most interesting of Singapore's neighborhoods. 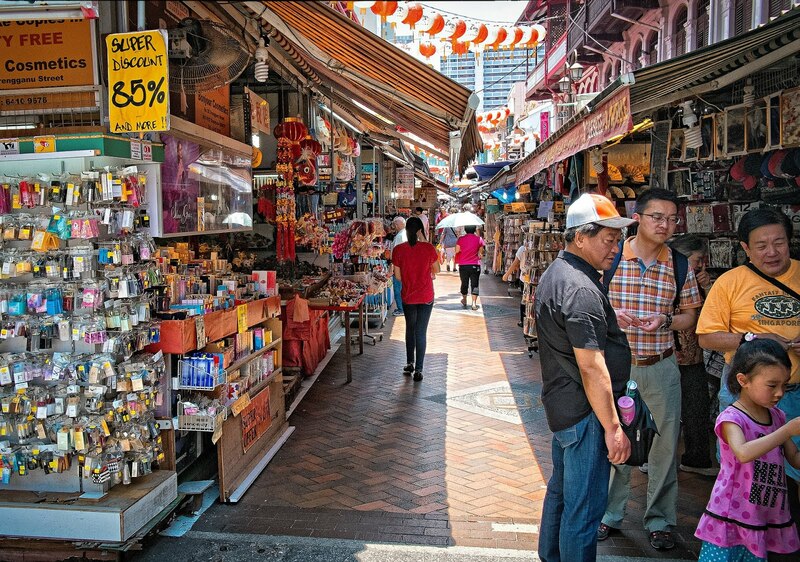 Unlike the image we have of Chinatowns from other cities around the world, this is very organized, neat and clean. 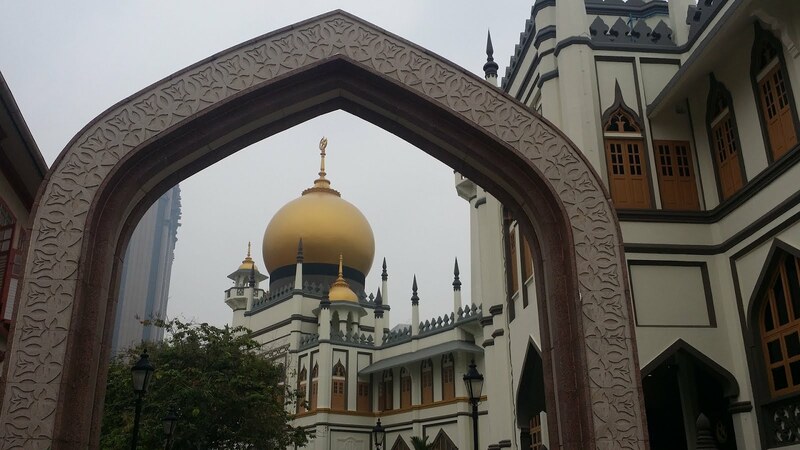 We recommend walking along South Bridge Road to Masjid Jamae (also known as Chulia) which is one of the oldest mosques in Singapore and a landmark in Chinatown. 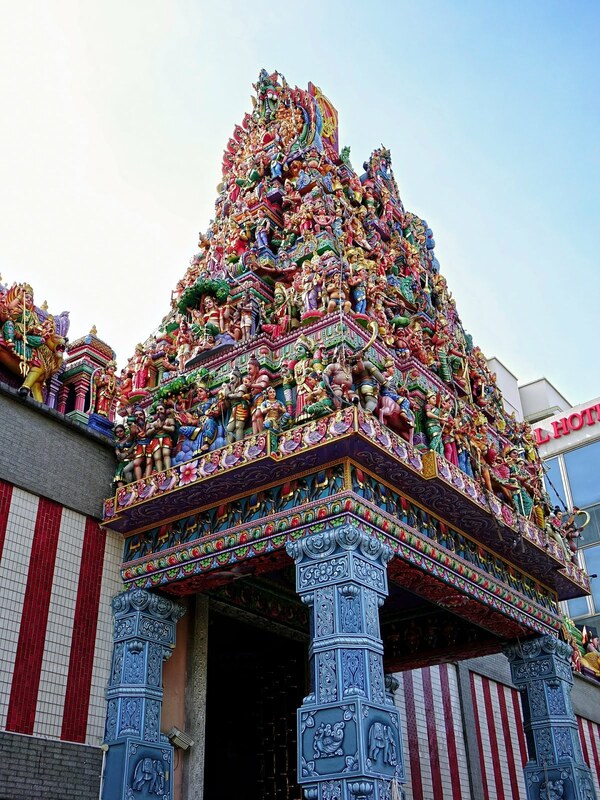 Shortly thereafter, you will arrive at the Sri Mariamman Temple, a wonderful Hindu temple, and we advise you to try to be there at 6:00 p.m., as you can attend a very interesting free ceremony. 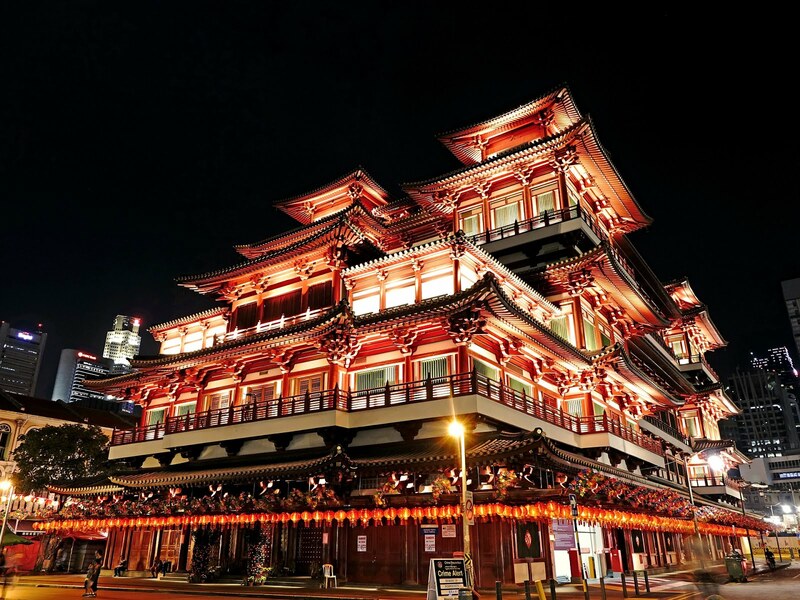 Then we suggest you go to the Thian Hock Keng Temple, a temple of 1821 which, although not very large, is very beautiful and certainly deserves a visit. After the visit, we propose that you continue your tour of Chinatown towards the, in our opinion, the most beautiful attraction of the neighborhood, the Buddha Tooth Relic Temple, where they say that a Buddha's tooth is stored. A visit to the Chinatown Complex Food Center is not free but if you want a cheap and quality option to eat, this is the place to go. With a wide offer and very attractive prices, let yourself be amazed and, being in Singapore, we can not fail to recommend that you sample the Crab but be careful, it can be spicy. It is in this hawker that has the possibility to go to the Liao Fan Hong Kong Soya Sauce Chicken Rice Noodle, and eat a plate awarded with a Michelin star. It is the star-award-winning restaurant serving the world's cheapest meal. The queue can be huge, so be prepared, but if you're not waiting in line, you have a vast and delicious offer all around you. 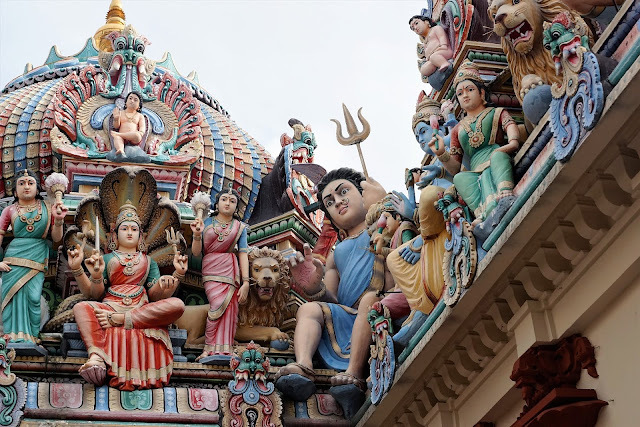 Little India is no longer as organized or impressive as Chinatown but it is well worth doing and in our opinion especially to visit the Sri Veeramakaliamman Temple, which is situated on the main avenue of Little India, the Serangoon Road. Its exterior and interior are stunning and for those who, like us, had never entered an Indu time, we were fascinated. Also worth visiting and, just 700 meters up the street is the Sri Srinivasa Perumal Temple, also worthy of a visit. The interior is interesting but, you can not access everything but only the visit from abroad is worthy of visiting. This is a very well organized street, full of commerce, and is a good walk. In our opinion, its main attraction is the Sultan Mosque (also known as Masjid Sultan, one of the most traditional mosques in Singapore. It is a beautiful place, whose entrance is free and should be done through the main door for tourists. You have to take your shoes off at the entrance and, if your clothing is not suitable, you can ask to loan you clothes for the visit. We were warmly welcomed, in an cordially way. You can find out more about timetables here. It is possible to take a guided tour but, for this, you must make an appointment, which you can do here. Near the Sultan Mosque are the gardens of the Malay Heritage Center. 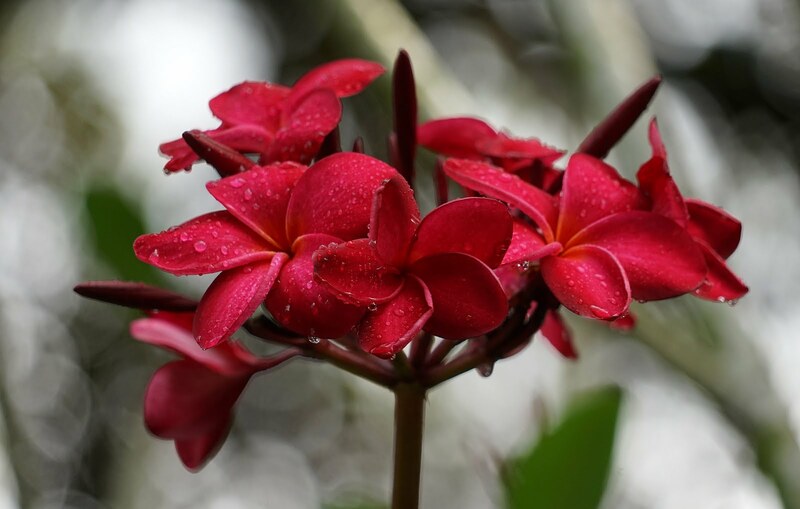 To enter the Malay Heritage Center you need to pay admission but only the visit to the gardens is worth it and it's free. This park, free and open from 5:00 am to midnight, will certainly surprise you. 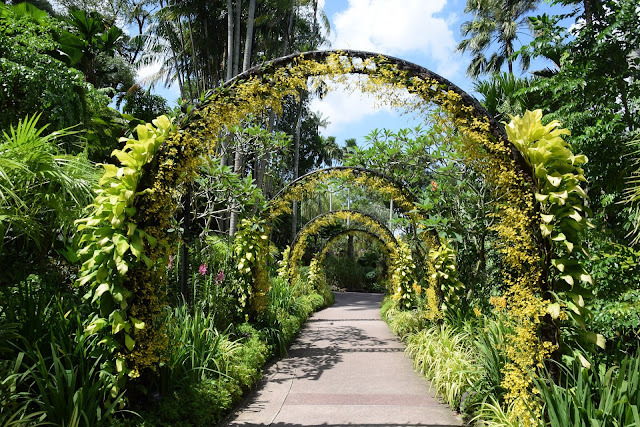 Despite being a little away from the center, it is easily accessible by MRT and you can spend a good few hours walking in this green oasis that will make you give your time well. This is a park that, in the midst of the hustle and bustle, will know wonderfully well to be able to relax and feel in the middle of the vegetation. Full of history, it's a great walk to relax before heading back out into the middle of the action. You can see our 2 days itinerary in Singapore here.